Submitted by Migrate Wizard on 2014-07-14 18:26. The following content was generously provided by Ossian Studios with the release of their Neverwinter Nights 2 expansion module, Mysteries of Westgate. 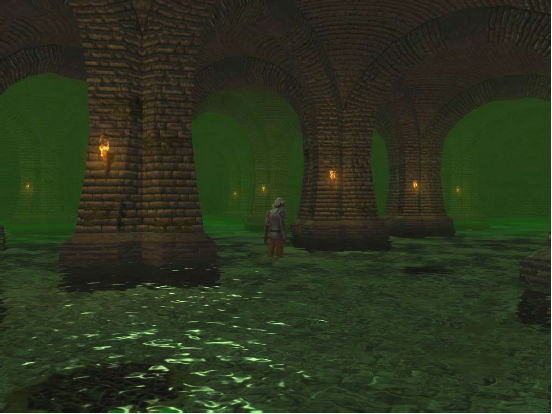 It includes a set of creatures, placeables, music, soundsets, plus a mask and a sewer tileset. On the old vault, this was a Hall of Fame entry with a score of 9.11 based on 70 votes. The storyline begins with the player seeking to rid themselves of a cursed object, one that haunts their dreams and threatens their very sanity. After learning from an old sage that the object is inextricably linked to the nefarious organization known as the Night Masks, the player catches the next ship to Westgate in the hopes of uncovering the cure to the curse. Soon afterwards, the player is drawn into a vicious street war between factions. Players must choose their allegiance in order to break the curse and ultimately uncover a plot that threatens Westgate itself. The story begins on the 30th day of Marpenoth (October in our calendar), 1372 DR - sometime after the most recent documented events within the region. Mysteries of Westgate has been designed to provide a balanced experience for all character races, classes, and alignments. As the module is very role-play-focused, classes with varied skills such as bards and rogues will, in some situations, have an easier time of it than melee-orientated classes. Conversely, characters with strong martial skills may have an easier time overcoming the terrifying array of enemies pitted against them, should combat prove inevitable. Paladins, and priests of good deities, may have a small advantage against the more fiendish or unholy enemies in the game. We wanted to make alignment a real factor in Mysteries of Westgate. Most modern RPGs allow the player a certain amount of freedom, but draw the line at anything that will really affect the outcome of the story, funneling the player down a certain path as a story reaches its climax. While we appreciate the advantages of this approach, we wanted to do something more, to empower the player to make the choices a real chaotic evil character might. Therefore, in Mysteries of Westgate, actions have huge consequences. Whether the player is the scourge or savior of the city is ultimately up to them. A 15+ hour campaign of high adventure with multiple paths and endings for players to choose from - an ideal role-playing experience! Non-linear gameplay with plenty of sidequests to uncover and solve in different ways, including class-specific options. Well balanced so that even the weaker player classes, like bards, will have a fun time. 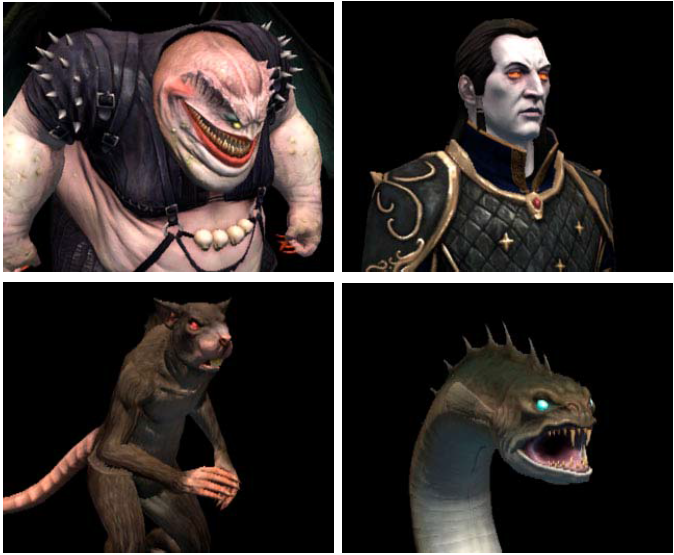 4 new creatures including the wererat and quelzarn. A new Sewer tileset used to create the seedy underbelly of Westgate, with tunnels, vaulted ceilings, rusty pipes, deep pools, and bridges. 25 minutes of hauntingly beautiful new music from composer David John. Hundreds of lines of new, professional quality voice-over. 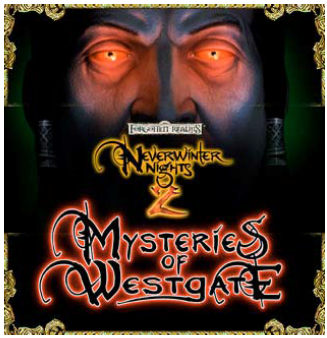 Mysteries of Westgate requires the original Neverwinter Nights 2 to play, but is also fully compatible with both the Mask of the Betrayer and Storm of Zehir expansion packs, allowing players to use the new classes, races, and other features from these games (expansions are not required to play Mysteries of Westgate). Quick Pros: Intriguing story. Excellent job of fleshing out Westgate. Plenty of places to explore. Excellent writing. Quick Cons: Endless replaying of this adventure pack may cause you to lose your job, family, and friends. I'm completely lost as to where to put all these .tga, .mdb and other files... And what is ridiculous - pdf's are just describing the files, not giving any directions of installation directories. If you managed to install the files where did you put them? You bundle them all into a .hak file and associate the .hak file to your module. I know this is old but I really need help, I want to use the wererat models as a PC. I added the hakpack to a module to try and see what the models look like but they won't show up after I loaded the hakpak. But I do not know where to put the files, some pointers?